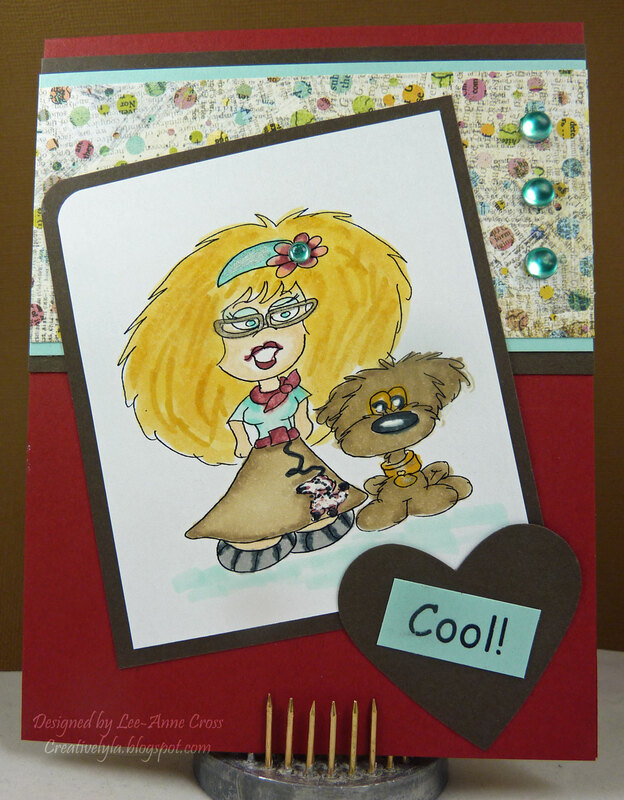 This card pays homage to the 50’s and is for two different challenges at Splitcoast today – the color challenge where we are to use Cherry Cobbler, Early Espresso and Pool Party and the Teapotter’s Challenge – poodle skirts and sock hops. My card base is a standard A2. I’ved colored my digi image with Copics and added some sparkle with a Spica pen, and some highlights with a white gel pen. Then just simple layering and some Copic colored rhinestones.